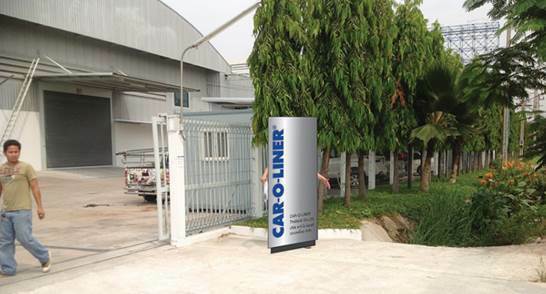 The Asia & Pacific region of Car-O-Liner Group is expanding its operations to Thailand and will relocate the Singapore-based headquarter to a prime location in Bangkok, just outside Suwarnabhumi Airport. The relocation will take place during 2016 as we move from our current 300m2 site to our new 1500m2 facility. This move covers all our business units and operations and allows for expansion of Car-O-Liner Academy, our product and method training centre, to also include chassis straightening, cab repair and wheel alignment for commercial vehicles with products from our commercial vehicle brands Josam and TruckCam. Car-O-Liner Academy to provide certified training Our Automotive brand, Car-O-Liner, will operate from this new location. Car-O-Liner Academy will provide training for the regional OEMs as well as certified product training, covering straightening, measuring and all types of Spot- and Mig-Mag welding technique, to support and develop the professional automotive repair shops in the region. Service & Support Asia & Pacific will operate as usual and will offer full service back-up to our vast network of distributors and partners seroquel online order including repair, service, maintenance and calibration of our well-known product range. New Distribution Centre for Asia & Pacific The Thailand operation will also operate a new 500m2 APAC distribution Centre based in a Free Trade Zone area outside Bangkok. The distribution centre has a team of dedicated persons ready to handle the fast growth need for equipment for the APAC region.